Grant's Hostel i Moskva, Rusland: Reservér nu! Comfortable hostel, 4 private and 4 dorm rooms, including one dorm room for ladies only. Located in the very center of Moscow, 15 minutes walking time to Kremlin and Red Square, 20 minutes walking to Bolshow Theatre, best bars and clubs just around the corner! 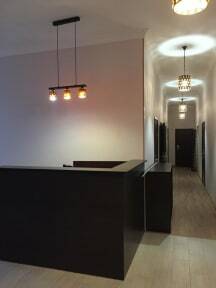 Property is located in the very center of Moscow, 5 minutes from the subway/metro 'Kitay-Gorod. All major sightseeings are in the walking distance: Kremlin is just little over 15 minutes walking, Bolshoy Theatre, Sovremennik Theatre, numerous bars and restaurants are just around the corner. There are 4 private rooms and for 4 dorms. Rooms feature private lockers, bed lights, air-conditioning, wardrobes, table and chairs for your convenience. The comfortable bedroom are waiting for you! Reception is working from 9-00 till 20-00. Quite time after 11 pm. Kitchen is closing at 11 pm for safety purposes. We request all guests to provide $30 security deposit for accidentals.